If you feel suicidal, contact the suicide hotline in your country right now [click here for information]. EDS and HDS force you to focus on your body. But how much time do you spend on your emotional and mental health? Your mental health is just as important as your physical health. As you focus on the physical issues you face with EDS or HSD, understand the connection to your emotional and mental health. In addition to physical connections, the stress of dealing with any chronic illness creates understandable mental pressures. Having serious physical symptoms dismissed as “in your head” can leave you frustrated. Not being believed can cause disappointment or anger. Constantly coping with pain and not having effective treatment options can cause emotions from depression to anxiety and panic attacks. Research and medical experience recognize that chronic illnesses negatively impact emotional and mental health. And yet, mental health issues are undertreated in chronic illnesses — and EDS/HSD are no different. Below is a “toolbox” of sample mental health strategies that you can use in various ways depending on your situation. Discover what works best for you and add as many “tools” as you can to have options when you need them. You, your family, and friends can do a lot to get through challenging times. Tools to manage anxiety, depression, and pain can help. Getting adequate sleep, eating nutritionally, and consistently doing joint-friendly exercises strengthen your ability to cope with your physical symptoms. These same behaviors strengthen your mental health as well. EDS/HSD lessen your sense of predictability and control. Purposely taking even small actions helps empower you. Deliberately do activities that improve your mood, lessen anxiety, depression, or other mental health challenges. Positive relationships with others also increase your emotional wellbeing. Don’t feel guilty about taking time for your own health management. Taking these steps is not selfish. The time you spend on yourself can improve your mental health. And that is a gift to yourself and those around you. There are many other tools you can have in your toolbox. Mental health tools can be divided into those that are helpful in a crisis and those that are helpful for maintaining stable mental health. You can also combine tools to increase their power. Find a crisis buddy — Choose an empathetic listener who helps you assess a situation and make clearer decisions. Find someone who is aware that you are struggling who will respond to an urgent text or phone call day or night. Provide them with contact information for your family or mental health professional. You are not alone. We all need help from time to time. Practice deep breathing exercises — Lowers blood pressure, relaxes muscles, provides more oxygen to your brain to calm panic or anxiety. Place your hand on your stomach. Your goal is to push your hand out when breathing in. Breathe deeply in through your nose, feeling your hand rise. Hold for three seconds. Let your breath out slowly through your mouth, feeling your hand go down. Repeat three to ten times, or however many times it takes for anxiety to lessen, muscles to relax, and heart rate to slow. Use distraction and visualizations — Shifts attention away from pain, calming the nervous system, slowing breathing and lowering blood pressure. Grounding technique: for instance, look around immediately and find five things you can see, four things you can touch, three things you can hear, two things you can smell, and one thing you can taste. Five senses – use alone or in combination to focus your attention. Sound: Listen to music and make playlists for different moods. size, colors, and other features. Taste: Savor a favorite dish or beverage that provides you comfort. Name a city that starts with each letter of the alphabet. Name as many dog breeds as you can. Take breaks from Social Media.Social media connects us to medical information and those in our community – which is helpful. However, we need to take regular breaks from social media or the mainstream media to focus without the distractions. Talking directly to people can be rewarding and more uplifting. Frequently talk about topics that are not health related. Help others.Do something kind for someone else. Helping others can help you combat depression, distract you from pain, and give you a sense of purpose or accomplishment. Help those in need, or write a letter to someone who would appreciate it. Helping others can be as small as doing a chore or making a meal for a family member, providing support online to others, or volunteering locally once a week or more. Find an appropriate outlet for your feelings.Talk to people, write in a journal, or write a letter to yourself. When you get negative thoughts or feelings out, they have less power over you. Explore guided imagery exercises.Discover apps, CDs, or online recordings where you are guided through a series of very concrete images intended to refocus your attention, breathing, mental and physical energy. The following is an example of the text of guided imagery exercise. Close your eyes and imagine you are in a park, on a beach or in a field. Take deep breath in and slowly let it out. Notice the details of what you sense around you. Slowly breathe in and out. Are you cold? Warm? Wet? Dry? You are anchored to your spot. Do you feel supported? Do you feel a breeze blowing past you? Are you floating on the breeze? Imagine you are floating above the area. What do you see from your vantage point? How far in the distance are you able to see? Bring yourself back to the spot where you started this exercise. What do you smell? Take a deep breath in and slowly let it out. Reflect on the positive emotions you have had so far in this exercise. Take a deep breath in and slowly exhale. Acknowledge that you are safe, supported and strong in this place. Slowly breathe in and slowly exhale. Congratulate yourself on completing an important step to take care of yourself. Do the grounding exercise above. Get comfortable with your touchstone (touch sense item above). Do a guided imagery exercise from an app, recording or one you have used before. Record in a journal the thoughts and emotions that you experienced in this series of exercises. Ask yourself which of those thoughts and emotions you want to keep and experience again. Why seek care from a mental health professional? Most people know when they are depressed, struggling to keep balanced emotions, have an increase in anxiety and other symptoms like apathy and change in appetite which if left untreated can escalate to suicidal thoughts and tendencies and ultimately suicide. The most important and first role in mental health care should always be for you to speak up. If you don’t feel you can do it yourself ask a friend or family member to make an appointment (and go with you for moral support) to see your GP. This should always be first line for professional assessment and treatment where necessary. To successfully diagnose and treat the physical problems of EDS or HDS, we fully expect to use experienced doctors, PTs, and, often, medications. Treating our emotional and mental health deserves the same level of attention and expertise. A mental health professional can be a vital member of your medical team. Be honest and open about how you are feeling. When these are challenging to implement on your own or if you feel they are not helping enough, seek out a mental health professional. By seeing a mental health professional, you can learn new skills for coping with your diagnoses. You can improve your communication skills so that you can better advocate for yourself with doctors, family, and others in your life. A mental health professional can also be a great ally because they can write reports to your doctors about the need to investigate physical symptoms they believe are not caused by a mental health condition. Mental health issues may make physical symptoms worse. With a mental health professional on your medical team, they can better distinguish between physical and mental sources of symptoms. This means you can get better care so that you can feel and function better. What types of specialized care can a mental health professional provide? Your mental health is just as important as your physical health. Adding a mental health professional to your care team opens you up to learning more coping, communication and self-advocacy skills. By working with a mental health professional and using many self-care management tools, you can decrease anxiety and depression and improve relationships with others. Thoughts of suicide should be taken seriously. If you or someone you know expresses thoughts of suicide, please seek help immediately. Through research we know that people who have made suicide attempts think differently when in a suicidal state. The pain and desperation affect the ability to make decisions. The brain isn’t working flexibly, and it can’t generate alternate solutions. People who have made suicide attempts report that they are hurting and truly believe they are a burden and that the pain will never end. If you experience these thoughts, ask for help. If someone shares thoughts like these with you, go with them to get help. Reach out to those in your life who exhibit warning signs or who have risk factors for suicide. If you are experiencing suicidal thoughts, ask for help. There is no single cause for suicide. Depression is the most common condition associated with suicide, and it is often undiagnosed or untreated. Written by Maggie Buckley, Shani Weber, and Sarah Fatherley. United Kingdom: Samaritans (https://www.samaritans.org/). Samaritans Helpline can be reached at 116 123. Australia: Lifeline (https://www.lifeline.org.au/) is a 24-hour nationwide service that provides access to crisis support, suicide prevention and mental health support services. It can be reached at 13 11 14. They also offer an online chat service. Denmark: Livslinien (https://www.livslinien.dk) offers telephone support 11am-4am on 70 201 201, or online chat. Germany: Telefonseelsorge (https://www.telefonseelsorge.de/), 24/7, and no cost: 0800 111 0 111 (Protestant), 0800 111 0 222 (Catholic), 0800 111 0 333 (for children and youth). India: Samaritans Mumbai (http://www.samaritansmumbai.com) — +91 8422984528, +91 8422984529, +91 8422984530 — 3 pm to 9 pm, all days, samaritans.helpline@gmail.com. Italy: Servizio per la Prevenzione del Suicidio (SPS) (http://www.prevenireilsuicidio.it/). New Zealand: Lifeline Aotearoa (https://www.lifeline.org.nz). Call 09 5222 999 if you live within Auckland or 0800 543 354 for those outside of Auckland. Spain: Teléfono de la Esperanza (http://www.telefonodelaesperanza.org) 717 003 717. Bulbena A, Baeza-Velasco C, Bulbena-Cabre A, Pailhez G, Critchley H, Chopra P, Mallorquı-Bague N, Frank C, Porges S. 2017. Psychiatric and psychological aspects in the Ehlers -Danlos syndromes. Am J Med Genet Part C Semin Med Genet 175C:237–245. http://bit.ly/2C2tpoQ. Bulbena A. 2018. 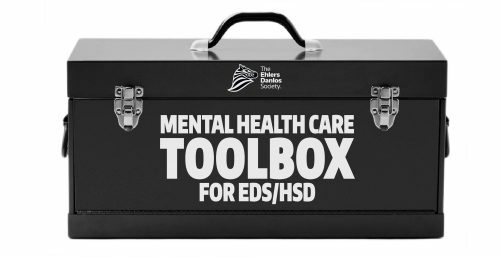 Webinar: The value of identifying emotional dimensions in EDS/HSD. https://youtu.be/V4mFVnFYXhI. Cederlöf M, Larsson H, Lichtenstein P, Almqvist C, Serlachius E, Ludvigsson J. Nationwide population-based cohort study of psychiatric disorders in individuals with Ehlers–Danlos syndrome or hypermobility syndrome and their siblings. 2016. BMC Psychiatry https://doi.org/10.1186/s12888-016-0922-6. Hershenfeld S, Wasim S, McNiven V, Parikh M, Majewski P, Faghfoury H, So J. Psychiatric disorders in Ehlers–Danlos syndrome are frequent, diverse and strongly associated with pain. 2016. Rheumatol Int 36:341–348. DOI 10.1007/s00296-015-3375-1. Available here. Read, J, Sharpe L, Modini M, Dear B. Multimorbidity and depression: A systematic review and meta-analysis. 2017. Journal of Affective Disorders. http://dx.doi.org/10.1016/j.jad.2017.06.009. Baeza-Velasco, C. Bourdon, L. Montalescot, C. de Cazotte, G. Pailhez, A. Bulbena, C. Hamonet. 2018. Low- and high-anxious hypermobile Ehlers-Danlos syndrome patients: comparison of psychosocial and health variables. 2018. Rheumatology International 38:871-878 https://doi.org/10.1007/s00296-018-4003-7. Baeza-Velasco C, Bulbena A, Polanco-Carrasco R, Jaussaud R. Cognitive, emotional, and behavioral considerations for chronic pain management in the Ehlers–Danlos syndrome hypermobility-type: a narrative review. 2018. Disability and Rehabilitation, page 1. https://doi.org/10.1080/09638288.2017.1419294. Baeza-Velasco C, Sinibaldi L, Castori M. Attention-deficit/hyperactivity disorder, joint hypermobility-related disorders and pain: expanding body-mind connections to the developmental age. 2018. ADHD Attention Deficit and Hyperactivity Disorders, volume 10, 3:163–175. http://dx.doi.org/10.1007/s12402-018-0252-2. Bulbena A, Pailhez G, Bulbena-Cabré A, Mallorqui-Bagué N, Baeza-Velasco C. 2015. Joint hypermobility, anxiety and psychosomatics: two and a half decades of progress toward a new phenotype. Adv Psychosom Med 34:143–157. https://doi.org/10.1159/000369113. Bulbena A, Gago J, Pailhez G, Sperry L, Fullana MA, Vilarroya O. 2011. Joint hypermobility syndrome is a risk factor trait for anxiety disorders: a 15-year follow-up cohort study. Gen Hosp Psychiatry 33:363–370. https://doi.org/10.1016/j.genhosppsych.2011.03.004. Bulbena A, Duró JC, Porta M, Martín-Santos R, Mateo A, Molina L et al. 1993. Anxiety disorder in the joint hypermobility syndrome. Psychiatry Res 46:59–68. Castori M, Hakim A. 2017. Contemporary approach to joint hypermobility and related disorders. Curr Opin Pediat 2107,29:640-649. https://doi.org/10.1097/MOP.0000000000000541. Ghibellini G, Brancati F, Castori M. 2015. Neurodevelopmental attributes of joint hypermobility syndrome/Ehlers–Danlos syndrome, hypermobility type: update and perspectives. Am J Med Genet C Semin Med Genet 169C:107–116. https://doi.org/10.1002/ajmg.c.31424.